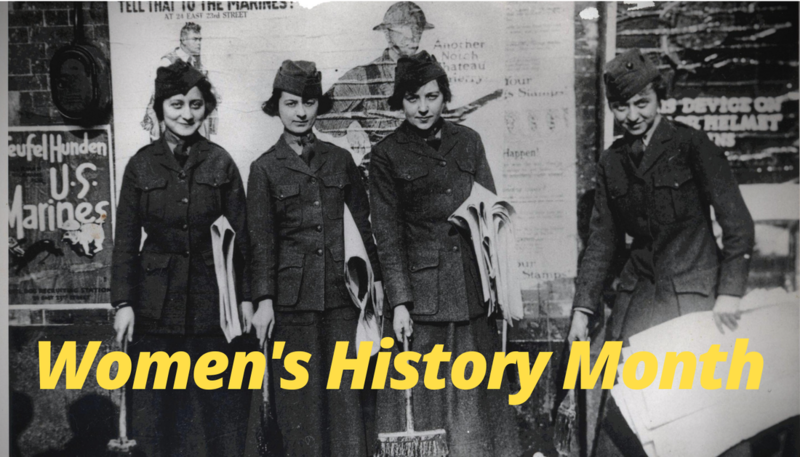 The National Museum of the Marine Corps is proud to recognize Women’s History Month 2019. Women have embodied the spirit of volunteerism throughout American history to include volunteering for military service in the interest of defending our Nation and restoring peace. During 2018, the Marine Corps commemorated one hundred years of volunteer military service by Women Marines and continues efforts to recognize all who have selflessly served our Corps. We are hereby reminded that for every Woman Marine who fights today in the all-volunteer force, there is a Woman Marine who fought for her. Answering the needs of the Nation since 1918, the first Enlisted Women Marines and Women Marine Officers were limited to service during national crises and were not eligible for veterans' benefits before the Women's Armed Services Integration Act of 1948, which was signed by President Harry Truman. The Act authorized women to comprise two percent of the total regular enlisted force initially equaling 1,000 Enlisted Women Marines. Additionally, the Act specified that only 100 commissioned officers and 10 warrant officers could serve in the regular Marine Corps at any time over the two year period following the Act's authorization, and any Woman Marine's service could be terminated at the Secretary of the Navy's discretion. This milestone legislation came with restrictions on career opportunities, advancement, and longevity as women were subject to specific age eligibility requirements and inherently prohibited from filling combat billets. There were also different criteria for claiming husbands and children as dependents. Yet, despite obstacles, inequities, and setbacks, women chose to serve our Nation in the Marine Corps. Since implementation of the Act as a consequence of law and policy over the following decades, military occupational specialties and duty assignments made available to Women Marines somewhat fluctuated. Women Marines have gradually taken on expanded roles in both the aviation and combat arms occupational fields, and they cannow serve in all military occupations. Women Marines served during both the Korea and Vietnam eras in stateside roles until 1967 when Master Sergeant Barbara Dulinksy became the first Woman Marine to serve in a combat zone. More recently, Lioness Platoons and Female Engagement Teams came into being as a result of the operational imperative to personally interact with local populations. Operation Desert Storm witnessed 1,000 Women Marines deployed. Influenced by previous Lioness Programs, the Female Engagement Teams came into play during Operation Iraqi Freedom. 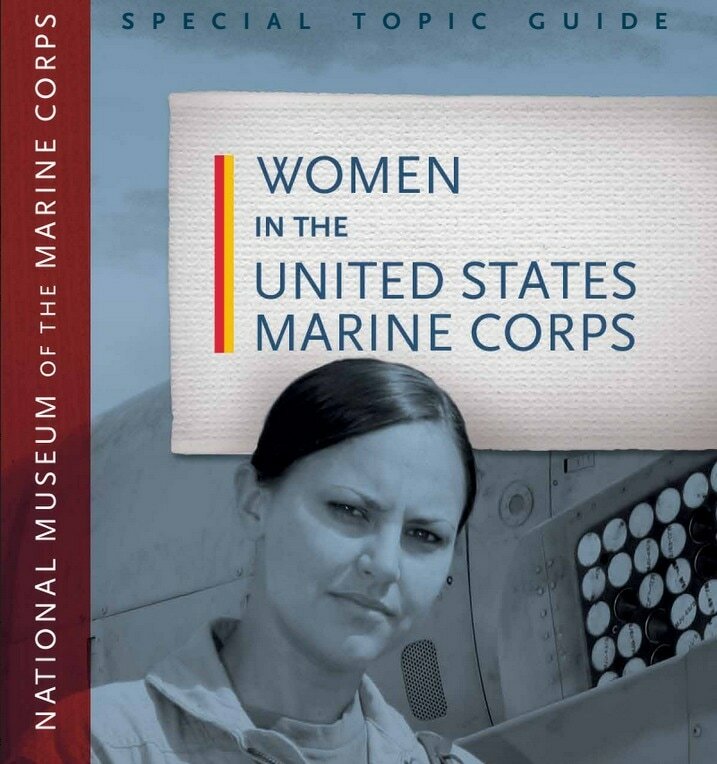 For more information on women in the Marine Corps, please view exhibits found in the Museum's WWI, WWII, Korea, and Vietnam galleries as well as the Museum Store. Lin Ezell, former Director of the National Museum of the Marine Corps shares where you can find the history of the Woman Marine in our galleries.